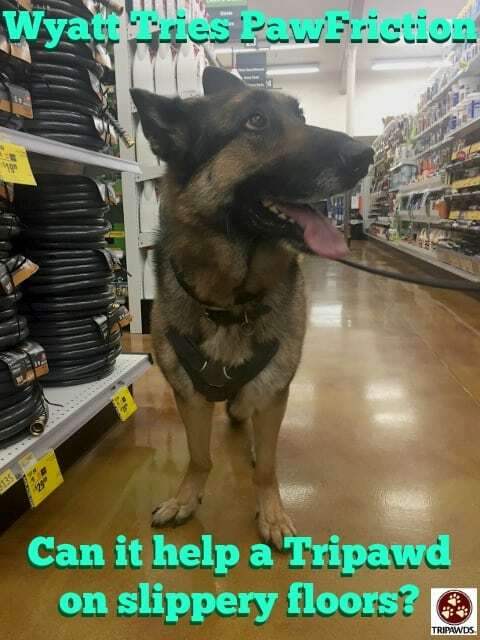 Floor traction for Tripawds is always an issue. Old or young, athletic or not, slippery floors are a Tripawd’s worst enemy. Carpet runners are the best indoor solution for this problem, but a new product called PawFriction makes floor traction for Tripawds easier than ever. Wyatt’s ready to give PawFriction a try. We met PawFriction’s founder earlier this year at the Western Veterinary Conference. 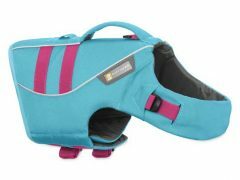 Dr. Stacey Bone, DVM developed PawFriction because he’s seen how slippery floors can damage a dog’s confidence, body and diminish quality of life. 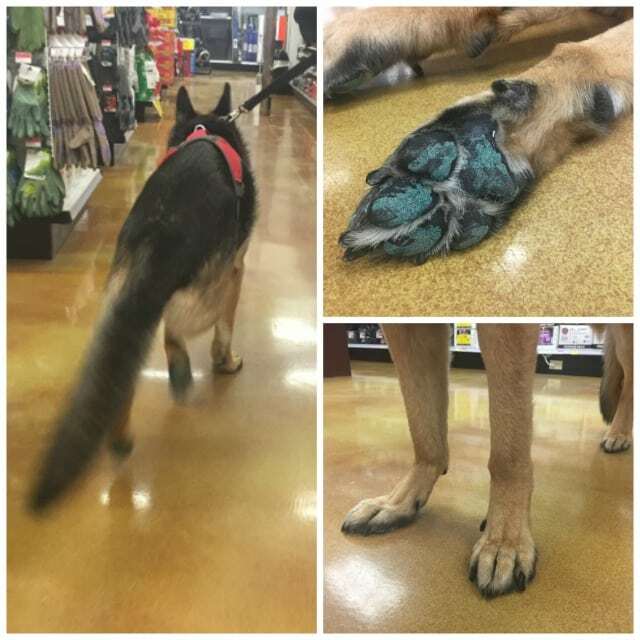 PawFriction is an ingenius paw pad coating system especially made for senior dogs and those with orthopedic and neurologic conditions. 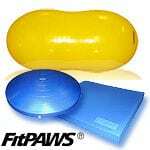 PawFriction is one of the best dog traction solutions. The kit comes with a generous amount of non-toxic granules to apply to your dog’s paws with medical-grade surgical glue. 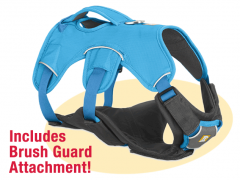 The granules help keep your dog from sliding on slippery surfaces. It’s that simple. Dr. Bone told us he applies PawFriction to amputation patients during surgery, while they are under anesthesia. That way the pup can wake up and instantly feel better about walking with their new gait. We think that’s ingenious! PawFriction application is easier when tackled in two steps. 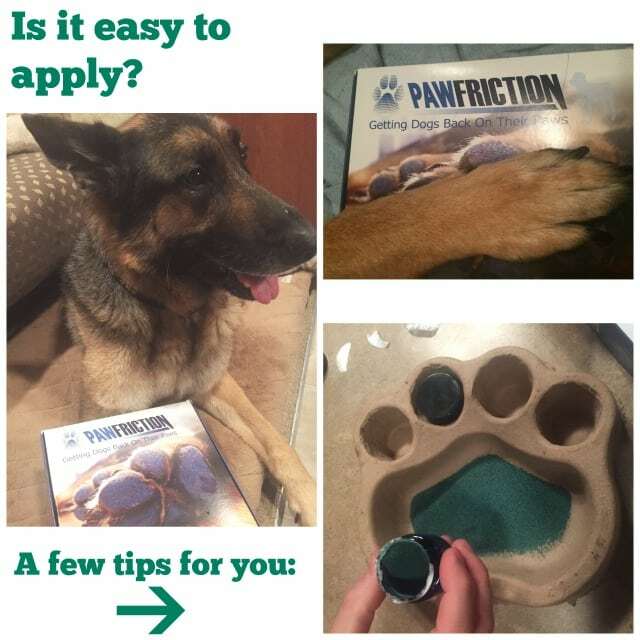 As PawFriction Amazon reviews show, it does take practice to apply PawFriction efficiently. Both human and dog need to get used to the procedure but we know it’s possible to do so. Our Wyatt’s foot phobia made things extra challenging. We followed application directions precisely, but we made the mistake of giving Wyatt a pawdicure and applying the product at the same time. This was not a good idea. By the time it was over we had more of it stuck to our hands than his paws. We should have groomed one day and applied PawTraction the next. Pet parents of smaller dogs may find it easier to apply PawFriction. One tube of the surgical adhesive wasn’t enough to cover all of Wyatt’s gigantic paws. We had to use 1.5 tubes. The kit comes with four of adhesive tubes and you can order more online. PawFriction didn’t bother his paws. After our application session ended, Wyatt never once tried to lick or bother his colorful new paw pad coating. Clearly it wasn’t interfering with his paw sensitivity. We chose the shiniest floors we could find to test PawFriction. Wyatt toured the local Ace Hardware and never had a hard time walking, as you can see. The granules stuck and he seemed more confident. 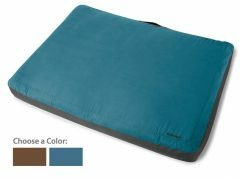 It’s a great product to use when you’re traveling to other places with slick floors. PawTraction lives up to its claims. When our test was over we rewarded Wyatt with a trip to the beach. Of course after our hike, the PawFriction granules were almost gone. 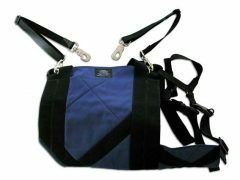 This product is not designed to be used on feet that spend a lot of time outdoors or get wet. On the packaging you’ll see that PawFriction clearly states “designed to improve quality of life for senior dogs and dogs with orthopedic and neurologic conditions.” The adhesive is strong, but it won’t stand up to the impact of wet, muddy or rocky surfaces where active dogs play. 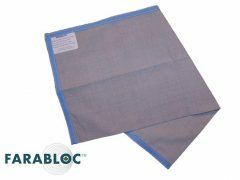 It does work great to protect from hot asphalt surfaces. 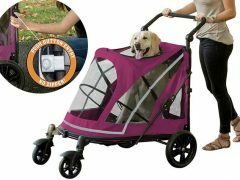 In a nutshell, this product is clearly for senior dogs with far less mobility. What a gift it brings to those pooches! Thanks for shopping with Amazon links found within the Tripawds.com featured blogs. Every purchase of any Amazon product you make will go toward helping to offset the costs of maintaining our community. Wears off FAST … we have inside dog! Brenda, you may want to double check that you applied it correctly. Perhaps your dogs paws had an oily residue of some sort on them before you applied? 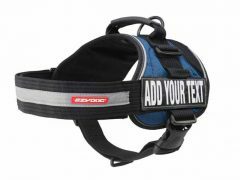 Revisit the instructions and call PawFriction to get some tips, they’re very helpful. Good luck! Interesting, I may have to give it a shot, I got a couple of runner rugs for the common walkways but I can’t cover everything. Will look at it more closely later, thanks for sharing. Yeah we’re pretty excited about this. As Wyatt ages it’s going to come in handy. If you try it, let us know how it works for you. Izzy is going to give this a try! She’s lost a ton of muscle with the increased prednisone intake to fight her tumor and I’ve noticed she’s slipping a lot more, even on our wood deck. I’ll let you know how we like it! Thanks! Best wishes for Izzy, please do let us know how it works for her. I just adopted a 7mth. old puppy who lost one leg a month ago. I want to find something to help him on my tile and stained concrete floors. Since he only has issues with his remaining back leg slipping out from under him I wonder if the product should just be used on the other rear leg and leave it off the front legs, seems like it would last longer in his case. Any recommendations? To conserve PawFriction granules, many people do just apply it to the sole remaining limb. 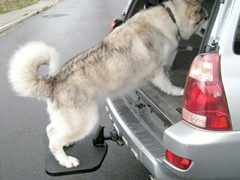 Be sure to check out the complete list of traction solutions for Tripawds! This is awesome I have a 1 year old GSD who had his left hind leg removed when he was 4 months old, I’ve noticed he hates the kitchen floor and has issues. I googled tripawd and this came up. I can’t wait to talk to my vet about this and try it.